Sasha Alexander has a new role on Rizzoli & Isles. Recently, the actress spoke with TVLine about making her directorial debut on the TNT series. The drama, which stars Alexander and Angie Harmon as a crime-solving duo, is currently in its seventh and final season. The cast also includes Lorraine Bracco, Jordan Bridges, Bruce McGill, Adam Sinclair, and Idara Victor. Alexander’s directorial debut airs tonight, August 15th, at 9 p.m. ET/PT on TNT. What do you think? Are you a fan of Rizzoli & Isles? Are you sad the show is ending? I am really going to miss Rizzoli and Isles. It was such a good series. Love the interaction between Jane and Maura. I know they could be many more stores to be told. This makes me really angry. It is a good clean show and why networks do this I don’t understand. They just bring shows that are worth watching. Many more stories. Such a good series. Never dull. Great chemistry between actors. How stupid. Everyone I know looked forward to the next season. Loved the interplay. Elegy enough for me. I would love to see more stories because the shows that are coming are not that kind of series. They were a good team and could enjoy f the show. better shows that share the same characters and have overlapping story lines I’m very angry and sad that you’ve lessened the number of good shows to watch. Thank you to the actors/characters, producers, directors (everyone) for your great service to your public. I’m officially protesting this cancellation! I cried my way through the whole show (and laughed). I’m expecting to get at least two good shows that hopefully overlap with each other somehow, with all our actors/characters. As much as is spent on sports, I hope you’re not letting finances rule the day to screw all of us out of one of the best shows on! so get busy and give us Rizzoli and Isles back or do one better and give us three or so shows to compensate for our loss! Thank you all of the people who act and produce, etc., I’ll be watching you! I am so UPSET! I love this show, really hate when my favorite shows are canceled, makes me not want to get attached to any of them. Meanwhile there’s all these new shows popping up that should have been canceled after airing! If that’s the case I’m guessing no reruns! There aren’t that many good shows left. 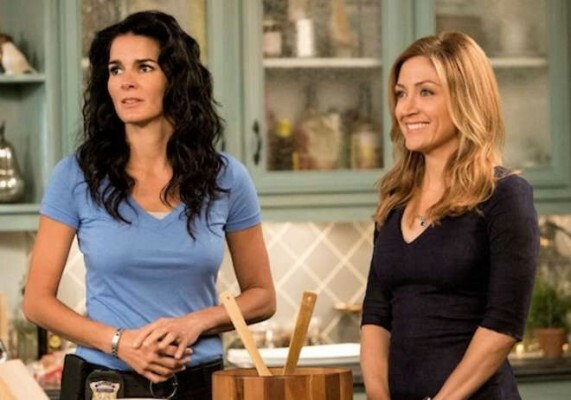 Rizzoli & Isles is one of our families’ top 3 shows on TV! Don’t you want us to watch your channel anymore? Pay them more- they are worth it!!! if there really are more stories to tell, give EVERYBODY more money, starting with ANGIE HARMON, and keep the show going.